Food is served all day from simple baguettes and homemade soup to our famous stone baked pizzas, fresh fish dishes, top notch roasts and tasty puddings. Our famous thin based stone baked pizzas, which all go by various cricketing names, are hand spun and cooked in our cricket ball shaped pizza oven. 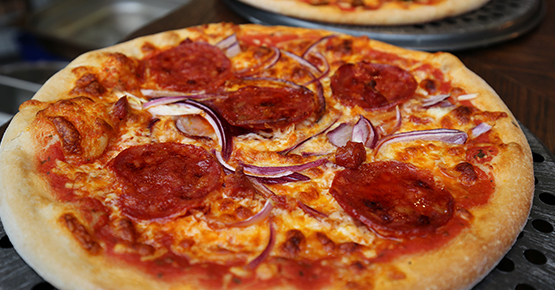 We serve late night pizzas till 10pm on Fridays to eat in or take away. There is also a whole host of good honest British pub classics, be sure to check out our daily specials board too. All dietary needs catered for on request.